Who doesn’t love someone who can charm their way through a dinner party with confident conversation, astute observations on the world and just the right amount of humor sprinkled in? You’ve found yourself a good one there, say jealous friends. They’re smitten, just like you were, before you saw this person’s other side. The side that only comes out when you’re at home, alone, and no one else can see it—the aggressive, controlling and sometimes violent side. Some abusers are literal Prince Charmings—in fact, survivors who have told their story here on DomesticShelters.org, like Nikki, have used that exact phrase to describe the person they first met. Unfortunately, what survivors come to learn is that it’s all an act used to deflect attention from what they may someday disclose to friends—that Prince Charming yells, threatens, shoves, hits. No, not him, say your friends. I don’t see it. And that’s exactly what the abuser is hoping for. She says that some abusers wear their dangerous proclivities on their sleeves—wolves in wolves’ clothing if you will. “Through their demeanor, harsh language and quick temper, they come across just as dangerous as they really are.” You know the rude way in which your date spoke to the server at the restaurant who brought the wrong order, or the cab driver who took a different route than expected? That’s a preview, says Patrick, of the way your date will treat you in the future. Yet, we are apt to overlook this when a potential partner has qualities we also look for or are lacking in ourselves—strength, confidence, aggressiveness when making decisions. “Ironically, this means that what makes them dangerous, also makes them desirable,” says Patrick. Because many abusers can turn on the charm before we can process the alarming behavior that preceded it, survivors can fall into an abusive cycle without seeing it coming. Which means that abuse is never a survivor’s fault, no matter if you think you’re “smart enough” to avoid it or not. Patrick says a 2016 study found that family-only abusers, those who limited their abuse to an intimate partner and weren’t abusive to others outside the relationship, were less likely to be reported by survivors. If a survivor knows they’ll have a difficult time getting someone to believe that their “perfect” partner is actually a controlling monster, it could affect how difficult it is to step forward and ask for help. So, what can a survivor do? First, if one’s support system seems enchanted by the social charms of an abuser, consider reaching out to a trained domestic violence advocate who is impartial and has heard it all before. 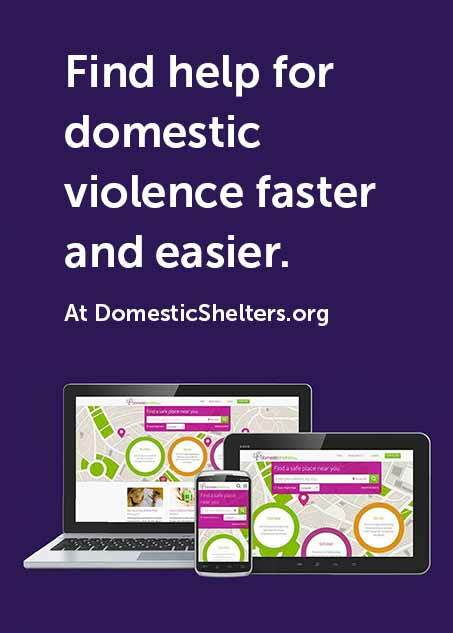 You’ll be able to describe what’s happening, sort out the abuser’s tactics, predict your danger level for the future and develop a safety plan for all possible scenarios. Find an advocate near you on our Find Help page.